“In view of on-going discussions with Liberty Global on a potential acquisition of our company, we cannot propose a final dividend for the financial year 2013 at this moment. 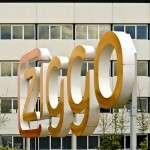 We will announce a statement regarding any final dividend before the AGM,” Ziggo said, hinting that the matter will be concluded ahead of its planned AGM in April. Ziggo’s Q4 results saw revenue climb 2.8 per cent year-on-year to €394.0 million and adjusted EBITDA increase 2.1 per cent to €222.8 million. Full year revenue and adjusted EBITDA were up 1.8 per cent and 0.7 per cent respectively. Among its operational highlights for full year 2013, Ziggo said that total internet subscribers were up 6.8 per cent compared to 2012, and that it has seen a strong increase in WiFi coverage since April, with over 1.1 million WiFiSpots activated.